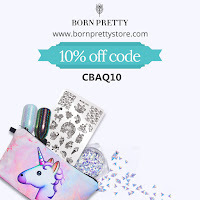 Plus10Kapow: Born Pretty Store BP-125 Dinosaurs! Born Pretty Store BP-125 Dinosaurs! Urgh! It's so muggy today and just won't rain, even though it blatantly wants to! But luckily it's cool enough for me to get some nail art done and today I have these fun dinosaur nails to show you. 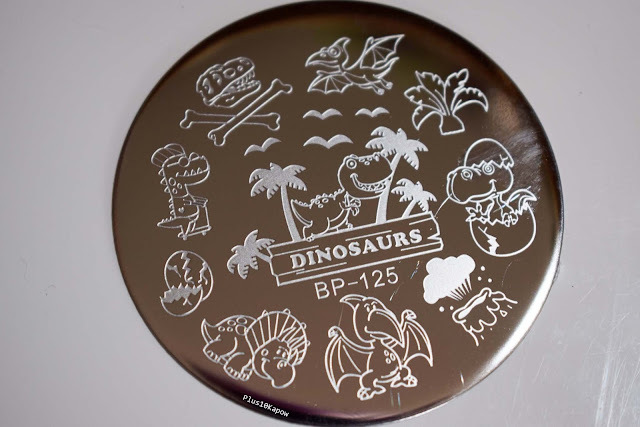 This cute dinosaur plate is BP-125 from Born Pretty Store. It's the standard round plate and has 10 images on it. 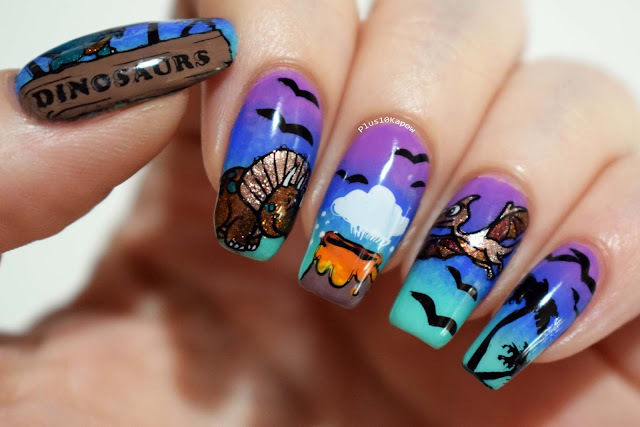 One is a full nail style image in the middle of the plate, with 9 other 'smaller' images. 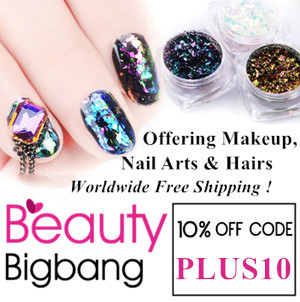 I put quotation marks around smaller because they're all pretty much the same size and I found that the 'smaller' images were too wide to fit the whole image on my nails and get the look how I wanted it. Other than that the images picked up fab on all stampers and look crisp. 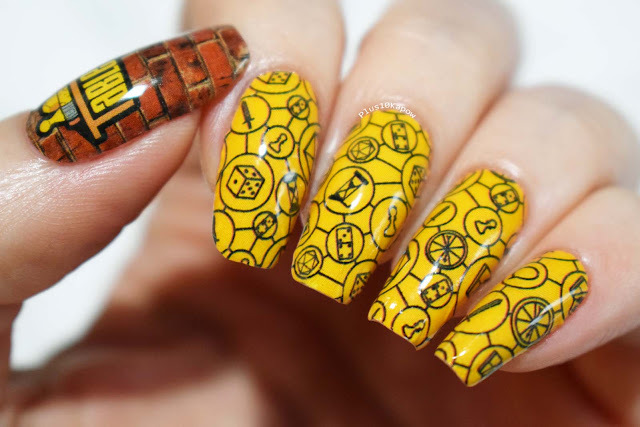 They are also perfect for reverse stamping or stamping decals which is what I did here. 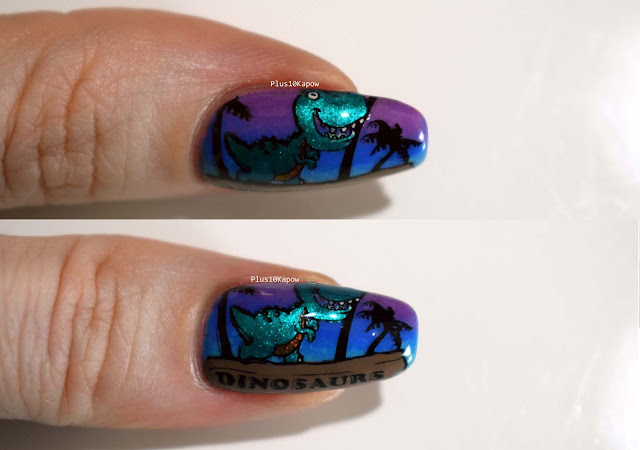 Here is a better shot of my perfect little T-Rex on my thumb, this is the nail I was the happiest with. For the base I did a gradient of Barry M Need for Speed, Barry M Damson and Barry M Greenberry. You can find this plate here for £1.12/$1.59 and don't forget to use my code CBAQ10 for 10% off all non sale items.